Decades of questionable educational policy decisions have been the byproduct of chronically flawed suspension and violence data at local, state and federal levels. Suddenly, the pendulum is swinging as sweeping changes in OCR’s reporting and the Elementary and Secondary Education Act’s broadening of school performance indicators will instantly shift the focus on school safety data from old aggregate numbers to in-the-moment reporting that will winnow out root causes and acknowledge schools for promoting safe school environments. Listen to policy researcher David Perrodin express his excitement about the changes that will positively impact schools in the upcoming months. David Perrodin from Sprigeo on Vimeo. David Perrodin is completing a PhD degree in Educational Leadership and Policy Analysis at the University of Wisconsin-Madison. His multi-year research embarks upon the study of high-stakes safety decision making across military, medical and educational environments. David has worked with some of the top decision analysis experts in the world, including those employed at NASA and professional sports organizations. He is regarded as one of the nation’s foremost experts in the research and design of safety reporting systems. Bullying in schools has reached dangerous levels. 1 in 7 students in grades K-12 will experience bullying – either as victim or instigator. And, the repercussions extend beyond the psychological damage being inflicted. Harassment and bullying have been linked to 75% of school-shootings with revenge reported as the greatest motivator for these tragic events. Though most of the attention has focused on stopping bullying at the elementary and high school levels, but these atrocities don’t end there. Bullying at the collegiate level is a serious problem. The University of Buffalo reports that 18.5% of college undergraduates have been bullied. That’s over 3 million students nationwide – enough to populate the state of Iowa. That number only increases when you look online. 22% of college students report being victim of cyberbullying. Perhaps more shocking, 9% of undergrads admit to cyberbullying others. And, those are just the ones willing to speak out – less than half of bullied minority students report incidents. All that bullying leads to students missing out on getting the educational opportunities they worked so hard to earn. Upwards of 160,000 students skip class every day to avoid bullying. At least they can get notes online, but it’s not a sustainable solution. Some students never make it back to class. Each year, 100,000 students drop out of school all together. And that’s nowhere close to the worst of outcomes. Many fraternities, sororities, clubs, and teams maintain a culture of hazing hidden from public view. They claim a distinction should be made between their activities and bullying. These institutions argue that hazing serves to initiate members into a group, while bullying is done to exclude the target. Yet, the same destructive principles exist for hazing and bullying. Both use a combination of verbal, psychological, and/or physical abuse to strip their victims of power and put them in a state of fear or discomfort. Left unchecked these rituals turn to horror stories. Allegations of drug, sexual, and physical abuse abound. Earlier this year, 37 members of a Baruch College fraternity had criminal charges brought against them for hazing that resulted in the death of freshman Chun “Michael” Deng. The frat-brothers allegedly took turns tackling the first-year pledge while he was blindfolded and wearing a heavy backpack resulting in head trauma and ultimately his death. This month, we were fortunate to explore the topic of weight-based bullying with Dr. Puhl. Through her extensive research, she is able to explain how common weight-based bullying is, how it impacts students, and what are some things that can be done to help prevent it. 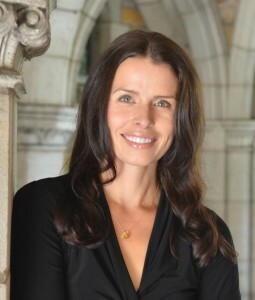 Dr. Rebecca Puhl is the Deputy Director of the Rudd Center for Food Policy and Obesity and Professor in the Department of Human Development and Family Studies at the University of Connecticut. Dr. Puhl coordinates research and policy efforts aimed at reducing weight bias and improving the quality of life of children and adults affected by obesity. 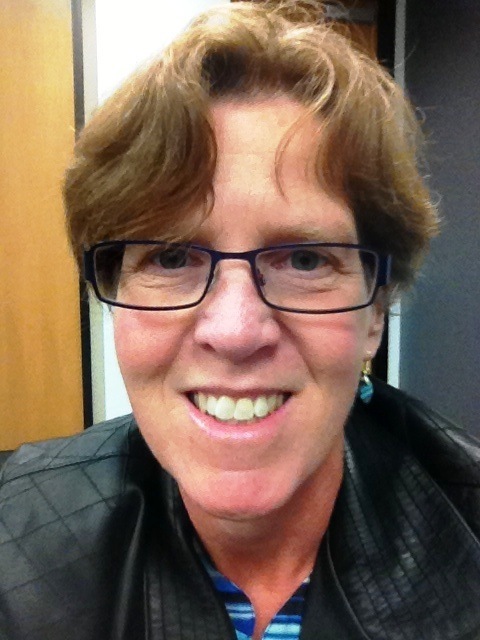 Dr. Puhl received her Ph.D. in Clinical Psychology from Yale University. She has conducted research on weight bias for 15 years and has published numerous studies on weight-based bullying in youth, weight bias in health care and the media, interventions to reduce weight bias, and the impact of weight stigma on emotional and physical health. Dr. Puhl has testified in state legislative hearings on weight bias, routinely provides expertise on this issue to State Departments of Health and national health organizations, and has developed evidence-based trainings to reduce weight bias that have been implemented in medical facilities across the country. Dr. Puhl has emerged as the leading national expert in the field of weight bias, and her research is routinely reported on in national and international media. In addition to serving on the Council of The Obesity Society and the Board of Directors for the Obesity Action Coalition, she was recently awarded the Excellence in Policy Research Award from the National Eating Disorders Coalition. More information on Dr. Puhl’s work is available at www.uconnruddcenter.org. For October’s Bullying Prevention Month, we were able to interview two researchers in Canada. In the first interview Dr. Vaillancourt discusses the physiological effects of bullying behavior. Dr. Smith addresses social media today as well as advice for parents. 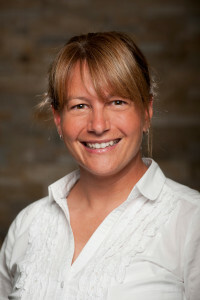 Dr. Tracy Vaillancourt, a fellow of The College of the Royal Society of Canada, is a Canada Research Chair in Children’s Mental Health and Violence Prevention at the University of Ottawa where she is cross-appointed as a full professor in the Faculty of Education (counselling program) and in the School of Psychology, Faculty of Social Sciences. Dr. Vaillancourt is also an adjunct professor in the Department of Psychology, Neuroscience, & Behaviour at McMaster University and a core member of the Offord Centre for Child Studies. She received her B.A., M.A., and Ph.D. from the University of British Columbia (human development), her post-doctoral diploma from the University of Montreal and Laval University (developmental psychology), and post-doctoral re-specialization in applied child psychology (clinical) from McGill University. 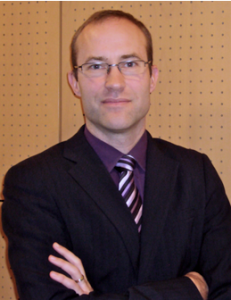 Dr. Vaillancourt’s research examines the links between aggression and children’s mental health functioning, with a particular focus on social neuroscience. She is currently funded by the Canadian Institutes for Health Research. Dr. David Smith is psychologist and professor of counselling at the Faculty of Education, University of Ottawa. He received his PhD in counselling psychology from McGill University in 1998. His primary research interests centre on school-based bullying prevention programs, with a particular emphasis on understanding how they can be made to be more effective. He speaks often in the news media about bullying issues in schools, and he is frequently invited to address educational professionals across Canada about bullying prevention. This is our second interview with Richard Guerry and we caught up with him in Atlanta, Georgia where he was working with multiple schools. In this interview, he shared his insight on digital technology today, and how students can responsibly use this “window to the world” through his “Public and Permanent™” solution. Richard Guerry is the founder of the non-profit organization the Institute for Responsible Online and Cell-Phone Communication (IROC2). Throughout the 1990’s, Richard worked as an executive in the information technology field. During his tenure, he encountered the darkest areas of the internet and discovered countless individuals unknowingly being manipulated and schemed, and their content being stolen and exploited. 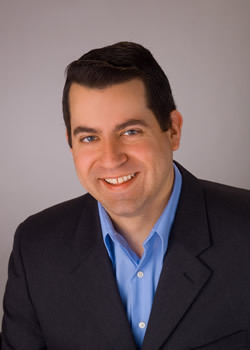 In 2009, Richard left corporate America , and applied his vast experience and knowledge of digital safety to serve as the Executive Director of IROC2.org. He now speaks to students, educators, parents, child advocates, and law enforcement personnel across the country on the importance of maintaining a digital consciousness to prevent and avoid current – and future – digital issues. In 2010 his program received the School Safety Advocacy Council’s “Exemplary School Safety Program” Award. In 2011, he was awarded the School Safety Advocacy Council’s “Exemplary School Safety Initiative” Award. 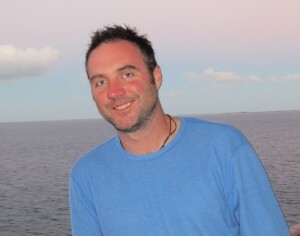 Since June, 2009, Richard has spoken to over 2,000 audiences across the United States and Canada ranging from avid to novice digital users, providing his audiences with an entertaining and eye-opening live event that offers a solution-oriented concept of how to avoid any self-inflicted digital problem, which is critical to anyone that uses a digital device. 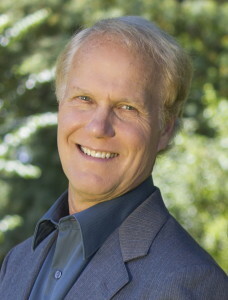 Richard is also the author of multiple cyber safety and citizenship books, and has been a featured speaker at many national conferences and conventions, including the National Conference on Child Sexual Abuse and Exploitation Prevention, the International Bullying Prevention Association, and the National Symposium on Child Abuse. He has also appeared as a digital safety expert on various media outlets like CNN, Radio Disney, MTV, Parade Magazine and many other local, regional, and international networks and publications. Visit the IROC2.org website for more information on school presentations and resources for parents and educators. This month, we had the pleasure of interviewing Dr. Mac, a psychologist and musician who addresses bullying through music. In his interview, he shares why it is so important to address bullying in schools, how bullying can surface in families, and how music is effective to teach kids about bullying and take steps to prevent it. 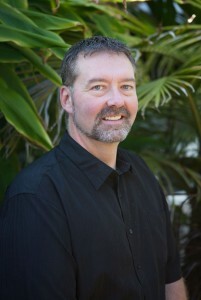 Don MacMannis, Ph.D. is psychologist and Director of Family Therapy Institute of Santa Barbara. He has specialized in school consultation and the treatment of children and families for forty years. Music director and songwriter for PBS hit, Jay Jay the Jet Plane, he also produced Happy Kids Songs, an award-winning series of songs and activities for social and emotional learning. HappyKidsSongs.com Visit his website to hear song samples. This month, we had the opportunity to speak with Suzanne Peck to discuss bullying prevention and learn more about her Stand Tall program that is being used in schools to teach respect and empower students. In our interview she discusses obstacles to kids telling adults when they are bullied, what schools are doing right regarding bullying prevention and what school staff and parents should know about legal responsibilities and liabilities for bullying and harassment. Click here for more information about the Stand Tall teacher’s manual or video preview. Suzanne W. Peck, educator, author, filmmaker and consultant, designs and leads training programs for culturally diverse audiences of all ages. 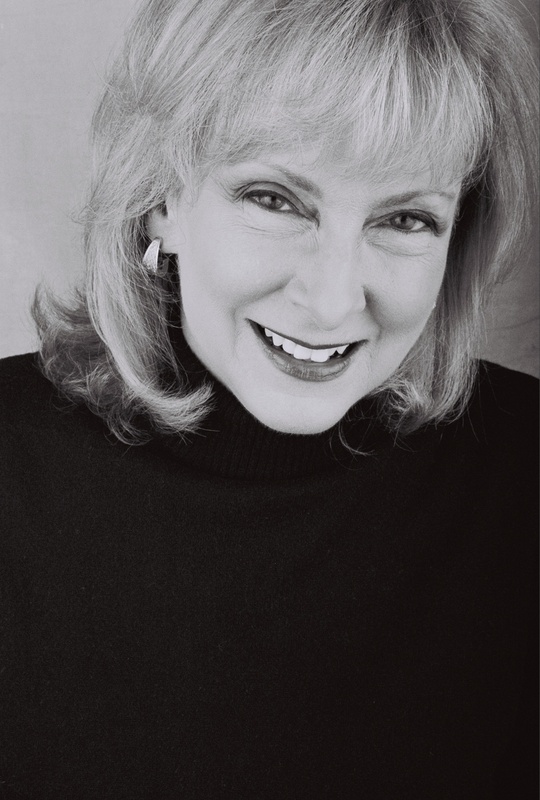 After public school teaching assignments in Chicago, Illinois and Lexington, Massachusetts, Suzanne began leading teacher training programs with Interaction Associates in San Francisco, California and teaching courses in Education and Communication Studies at Dominican University in San Rafael, California. Teacher training programs led to corporate training programs, and Suzanne joined Towers Perrin (now Towers Watson), a management consulting firm with 14,000 consultants in 80 offices around the world. Suzanne founded and led the firm’s training practice, with a technical focus on equal employment opportunity, diversity and harassment. Suzanne became a partner in the firm and led the Human Resources and Communication line of business. In addition to consulting, Suzanne has taught diversity within Northwestern University’s Media Management Center, an executive education program led by faculty of the Kellogg School of Management and the Medill School of Journalism. A sought-after public speaker and trainer, she has won many awards for creative excellence in communication, film and training programs, including the Association of Educational Publishers, the U.S. Industrial Film & Video Festival, the International Association of Business Communicators, and the Human Resources Management Association. Suzanne is the author and filmmaker of STAND TALL: Lessons That Teach Respect and Prevent Bullying. Suzanne co-authored RUFF: A Lost Dog Tale, 5 Great Strategies to Manage Change at Work and Beyond (with Penelope Wong). She participated in the development of I’m In Charge, a consumer assertiveness education program used by more than a million employees in 400 companies; Expect the Best, a film starring Phylicia and Ahmad Rashad; How to Make Meetings Work, now in its 9th printing; Boomerang: A Management Training Program in Equal Employment Opportunity, used by half of the Fortune 500; and The Color of Leadership, Northwestern University’s Media Management Center. Dr. Elizabeth Kandel Englander graduated from the University of California at Berkeley, and completed her doctorate in Clinical Psychology at the University of Southern California as an All‑University Merit Fellow. After being awarded a National Institute of Mental Health Research Service Award to study at the University of New Hampshire, she started teaching in the State University system in Massachusetts and is now a professor of Psychology. She was awarded a Presidential Fellowship to found and direct the Massachusetts Aggression Reduction Center, which delivers free anti-violence and anti-bullying programs, resources, and research to K-12 Education. Dr. Englander’s research and publications are nationally recognized and she was named Most Valuable Educator of 2013 by the Boston Red Sox because of her work in technological aggression and how it interacts with peer abusiveness in general. She was the Special Editor for the Cyberbullying issue of the Journal of Social Sciences, and has authored about a hundred articles in academic journals and books. She is the author of Understanding Violence, and of Bullying and Cyberbullying: A Guide for Educators, recently released by Harvard Press. She has written three research-based curricula and many educational handouts for communities and professionals. Reflecting her interest in educating laypeople, Dr. Englander has answered questions in a column for the New York Times (online edition), and she writes the column Bullying Bulletin Board, which is syndicated by Gatehouse Media in hundreds of newspapers nationwide. This week, we had the opportunity to interview Steve Osterhage and learn more about STARS Bullying Solutions for schools and communities. Steve Osterhage has worked with families for over 20 years in different capacities. In 2006, he co-founded Family Fuel, Inc. and he is a trained facilitator for the Love and Logic Institute®. He developed STARS Bullying Solutions and STAND UP to Bullying assemblies for kids using Love and Logic and Sally Ogden concepts. His son was bullied in elementary school, which has given him a practical, working knowledge and compassion for bullying dynamics from all angles. He trains all over the Western U.S. from Family Fuel’s home base in Santa Barbara, CA. He has been the keynote speaker for many parent education conferences and has led Family Fuel to winning awards for parent education. He has two boys, 17 and 12, and enjoys the ocean, traveling and technology. As schools and community programs have used Sprigeo’s on line reporting system, incidents of students engaging in cutting behaviors have been reported. Dr. Alderman is an expert in the field of self-injury . In our interview, she dispels two common myths about cutting as well as advice on what to do if you discover someone is engaging in these behaviors. Dr. Alderman interview from Sprigeo on Vimeo. Tracy Alderman, Ph.D. is a licensed clinical psychologist and author of The Scarred Soul: Understanding and Ending Self-Inflicted Violence (New Harbinger Publications) and co-author of Amongst Ourselves: A Self-Help Guide for Living with Dissociative Identity Disorder (New Harbinger Publications). 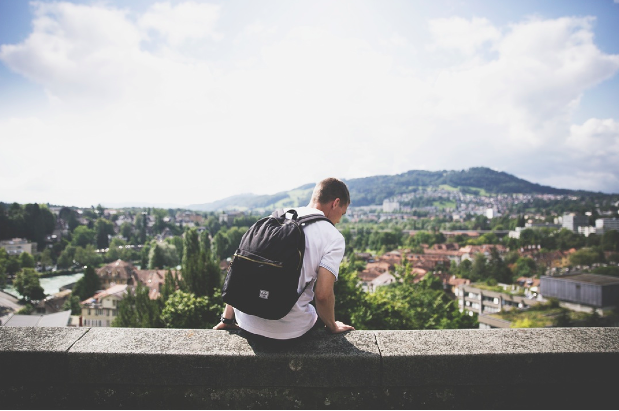 Dr. Alderman is a leading expert in the field of self-injury and has provided numerous trainings and workshops for agencies, educators, clinicians, hospitals, counselors, and parents nationwide. She has worked with the San Diego Police Department, California Department of Corrections, San Diego Unified School District and University of San Diego. In addition to offering consultation and training in the area of self-injury, Dr. Alderman also provides clinical services and supervision at the University of California, San Diego. Click here for more information on Dr. Alderman’s book.